New approaches to treat male-pattern baldness may be available in the future due to the discovery of a genetic defect in the way that hair follicle cells develop. Androgenetic alopecia, or male pattern baldness, is an inherited, genetic condition that affects men and, to a lesser extent, women. New research conducted at the University of Pennsylvania School of Medicine shows that a defect in the way that hair follicle stem cells transform to progenitor cells could be a concealed, but detectable, cause of androgenetic alopecia. 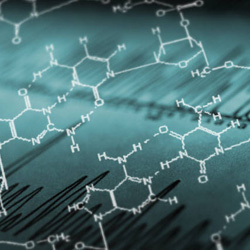 Stem cells create the physical foundation for cell specialization. Progenitor cells come afterward, and continue the development of the cell. Male-pattern baldness is connected with considerable diminishing in hair follicle size. According to this study, this shrinking of the hair follicle size might be connected to the loss of hair follicle stem or progenitor cells needed for usual growth. Scientists tested this idea by comparing the number of these cells found in bald scalps and full heads of hair. These findings, published in The Journal of Clinical Investigation, indicated that samples from bald scalps had considerably less progenitor cells necessary for development of normal hair follicles. The researchers suggested these findings may show that a genetic defect in the transformation of hair follicle stem cells to progenitor cells could be partly responsible for male pattern baldness. If more studies back this contention, new approaches to male pattern baldness treatments may be forthcoming. 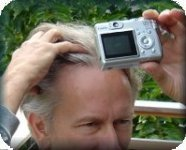 Male pattern balding in men only affects the hair follicles on the top and front of the scalp. The follicles on the sides and back of the head are genetically pre-programmed to stay, and not shrink. Therefore, until this research bears fruit, the only permanent solution to male pattern baldness is a hair transplant. Healthy hair follicles that are not subject to male pattern balding are moved to the balding areas and grow normally. These hairs grow normally. A hair transplant is an out-patient procedure done under local anesthetic. This entry was posted in Baldness, Genetics, Hair Loss, Hair Loss in Women, Hair Transplant on January 31, 2011 by Larry Shapiro.